I have been wanting Joy and as soon as I could order her I did. She came on Friday and was in Mckenna’s competition but I am just now introducing her. 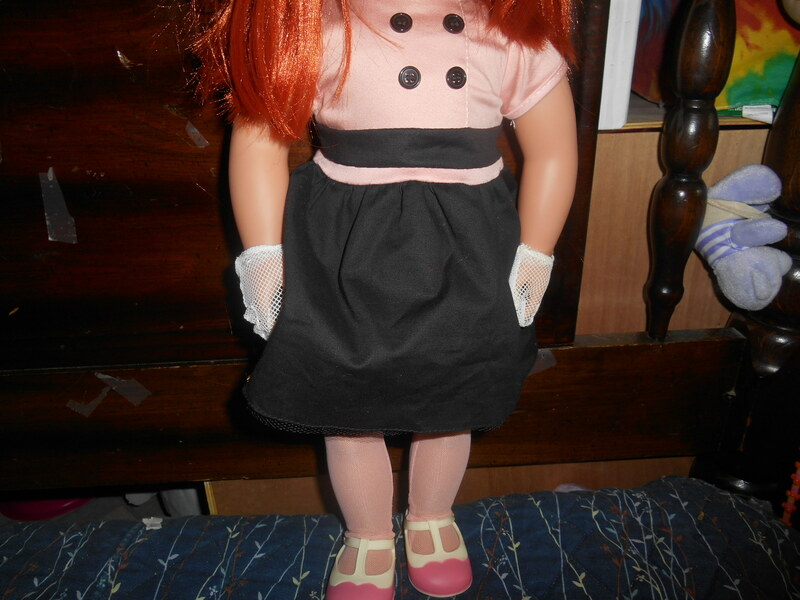 She is an our generation retro doll. 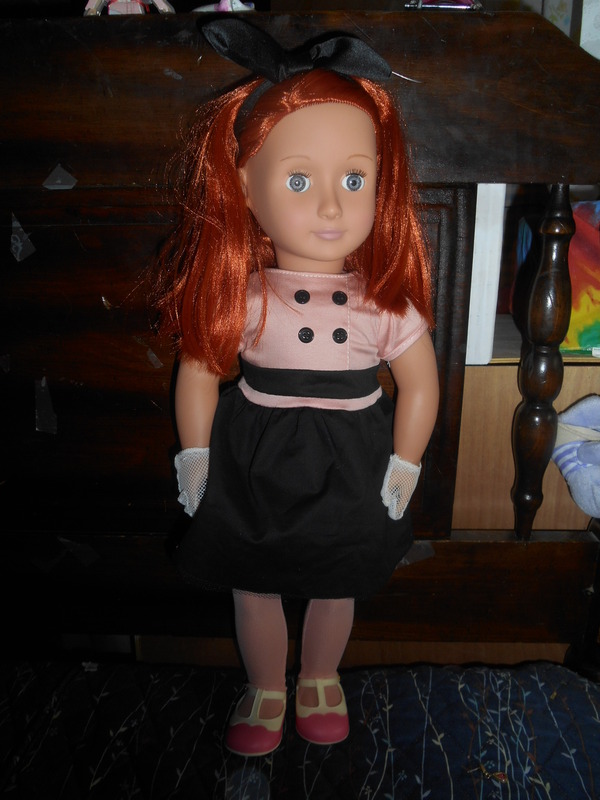 Her dress has a pink top with buttons on it and the skirt part has a layer of mesh under. Her mesh gloves have elastic on the bottom and stay on easily. She wears mesh tights and shoes. The straps come off of one side of the shoe for easy on off. She has gray eyes and the classic smile. 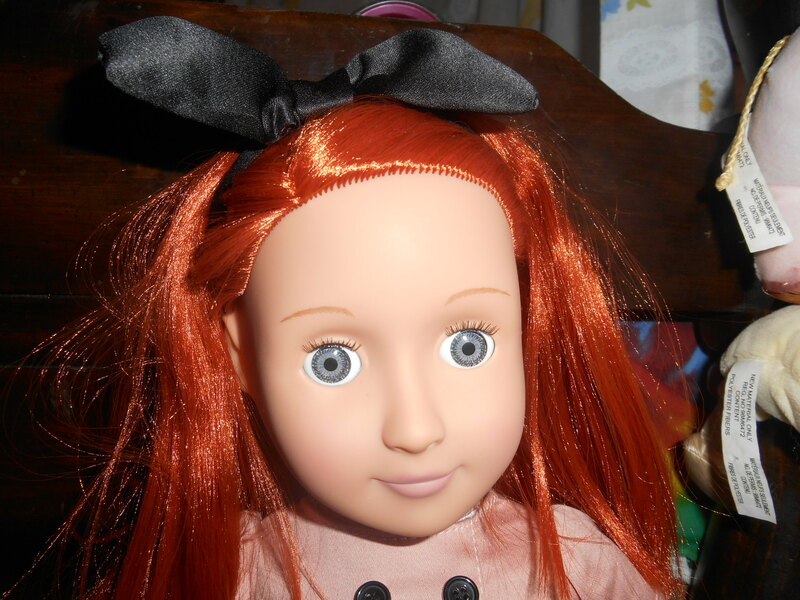 Her bright red hair is almost orange and lighter than Riley’s. It is super soft and straight. The headband is very pretty. It’s hard to see in pictures but the only thing that I don’t like about Joy is that her headband left a black mark where it was and I can’t get it off. Now I have all four kinds of OG dolls. Joy is one of my favorite and I also like hope’s long hair. Joy is on sale now if you want to get her.